The errors in the inscriptions (can be viewed at Victorian Web) are presumably deliberate, and mean something. But what? We can find no information about the Queen's Assurance Company. 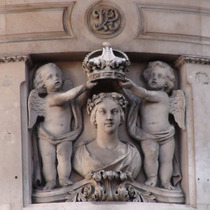 This cherubic coronation scene is above the first floor corner window. 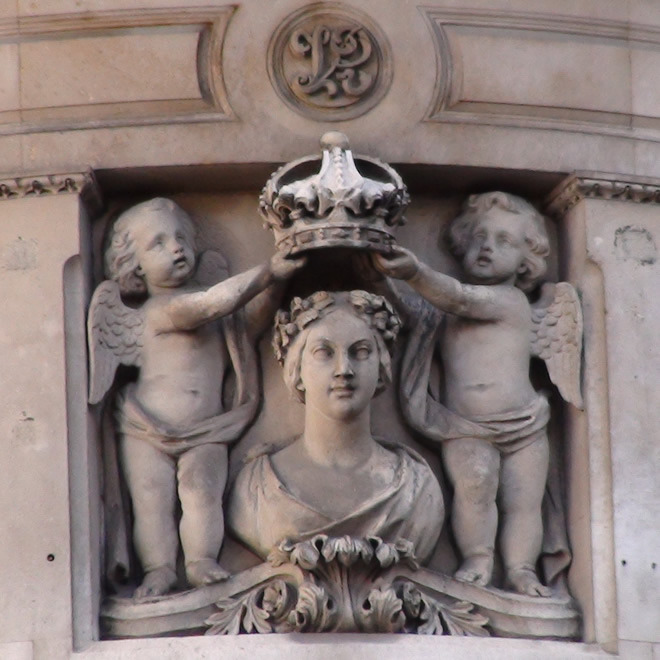 Victoria was crowned in 1838 but the building was erected in 1850-2, at the same time that the Queen's Assurance company was established, which seems a bit odd. The building was designed by Sancton Wood, who mainly did railway stations. Established sometime in the 1850s.